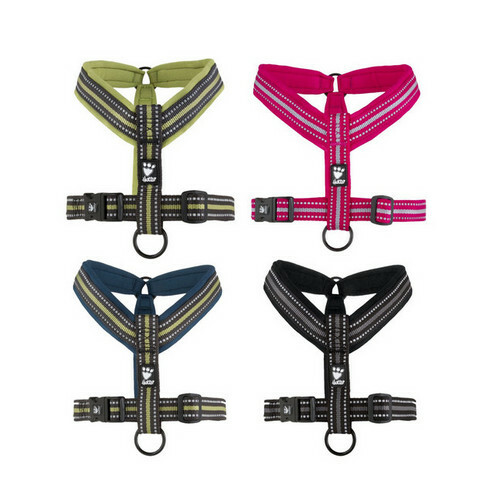 The New Style Padded Y-Harness from Hurtta provides 4 new colours to choose from of the ever popular Y-Harness range. 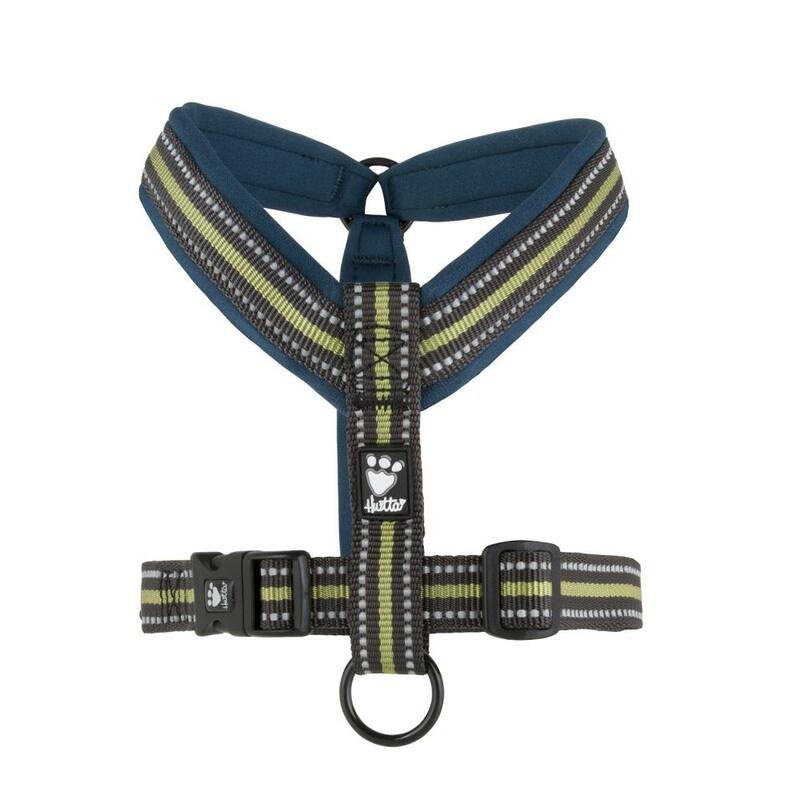 Ideal for dogs with back and neck problems, they evenly distribute pressure across the chest, and thanks to an ergonomic design and wide padding the harness is comfortable and does not wear fur or skin. 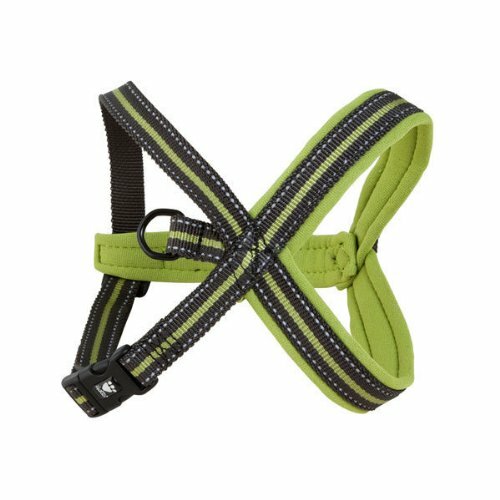 Each harness is quick and easy to get on and off. 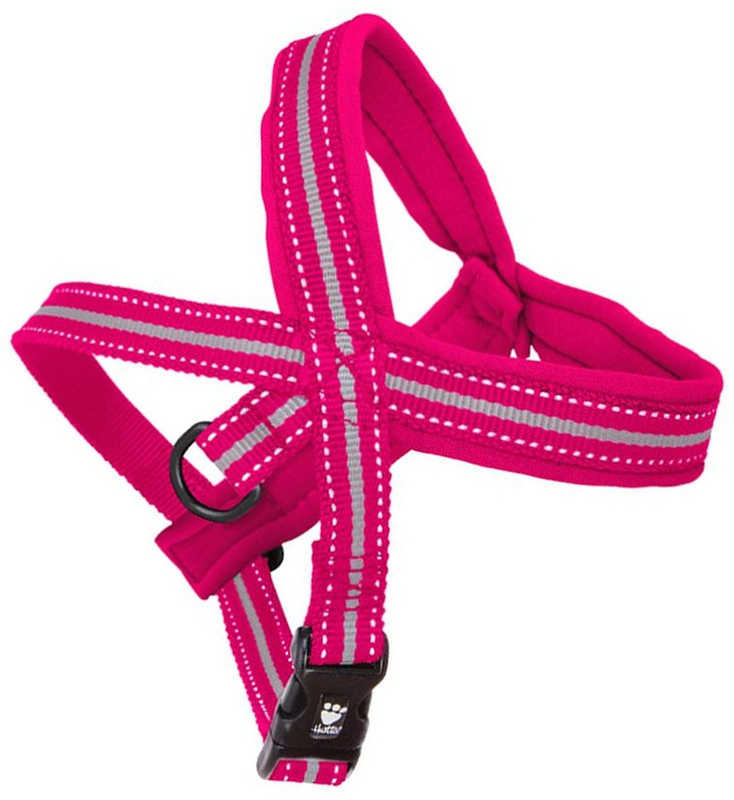 Each harness is made from a durable Neoprene, and comes with 3M reflectors to make your dog easy to spot in low light. 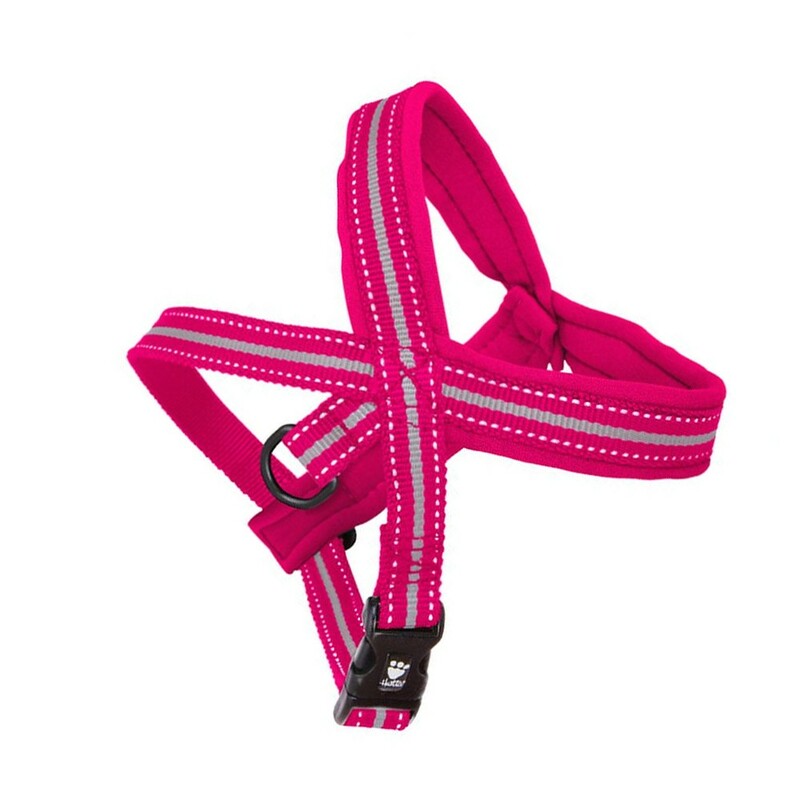 The armpit padding stays in place when your dog moves due to a fastener which provides protection from the clip buckle. You can also currently get the previous range of Hurtta Padded Y-Harnesses, which came in various other colours. Please scroll down for a size guide. The chest (3) measurement should be taken from the widest point of the chest and this is usually just behind the front legs of your dog. Wrap the tape measure all the way around your dog's chest. The neckline (2) measurement should be taken at the very base of the neck where it is widest, not the collar area. 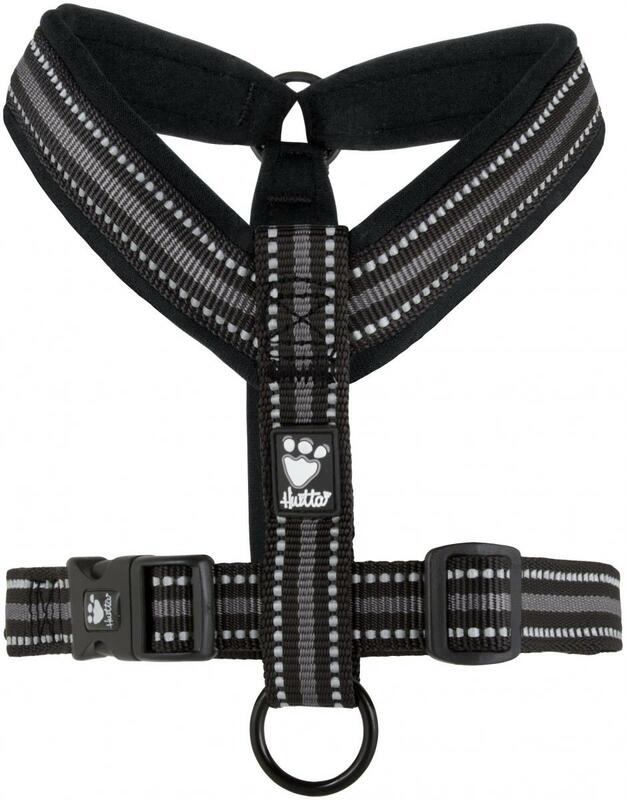 The neckline of a Hurtta Harness should actually be wider than your measurement to allow for movement. 35 cm/14" 30 cm/12" 30-35 cm/12-14"
45 cm/ 18" 34 cm/13" 40-45 cm/16-18"
55 cm/ 22" 39 cm/15" 45-55 cm/18"-22"
60 cm/ 24" 42 cm/17" 52-60 cm/21-24"
70 cm/ 28" 48 cm/19" 60-70 cm/24-28"
80 cm/ 32" 60 cm/24" 70-80 cm/28-32"
90 cm/ 35" 64 cm/25" 80-90 cm/32-35"
100 cm/ 39" 76 cm/30" 80-100 cm/32-39"
110 cm/ 43" 86 cm/34" 90-110 cm/35-43"
120 cm/ 47" 90 cm/35" 100-120 cm/39-47"
There are currently no questions for Hurtta New Style Padded Y-Harness for Dogs - be the first to ask one!